OLD SHEFFIELD PLATE SILVER CRUET, CIRCA 1790. AN 18TH CENTURY OLD SHEFFIELD PLATE SILVER CRUET. GEORGE III, CIRCA 1790. 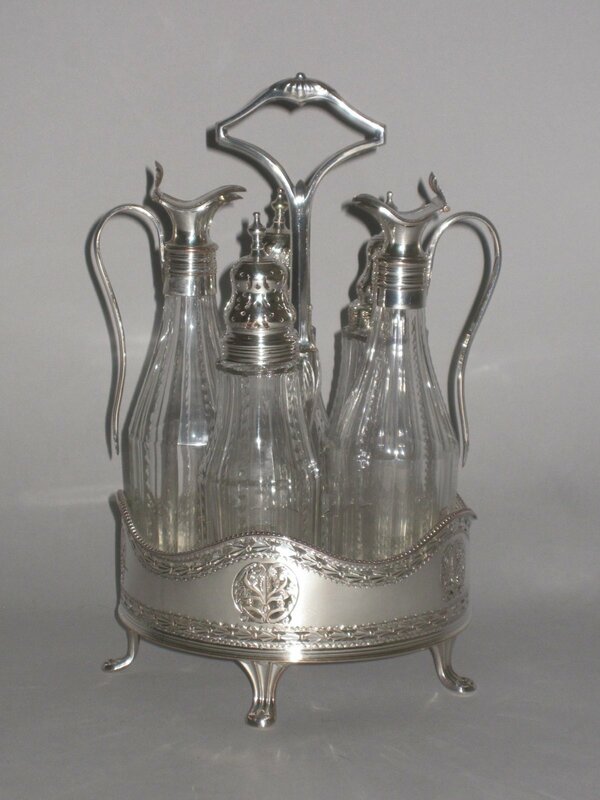 Of circular scalloped and pierced decorated form, on four bracket feet, with a central carrying handle, with five Old Sheffield Plate silver mounted glass condiment bottles. Provenance: Purchased from S.J.Shrubsole, Museum Street., London. 29th January 1973.